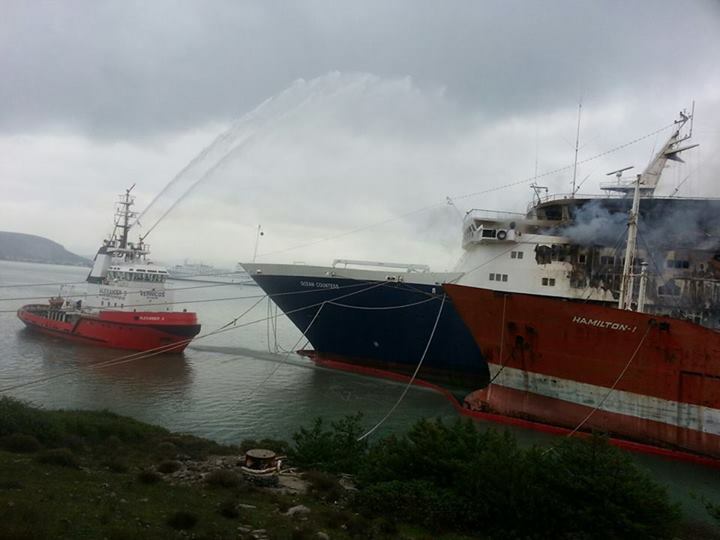 Majestic International’s Ocean Countess caught fire over the weekend. 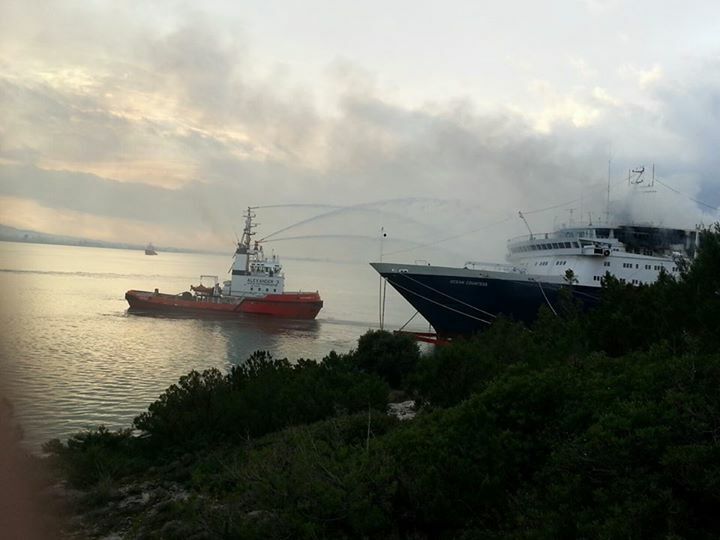 Initial reports had her in a shipyard just north of Athens, Greece when the fire started. There were only five crew onboard who all were able to get off the ship. The fire was brought under control rather quickly, however the billowing smoke still remained. The 1976 ship was originally launched as the Cunard Countess. And most recently sailed for the U.K.’s Cruise and Maritime Voyages. She is currently laid up at the Chalkis Shipyards at Halkida. Additional photos show the aftermath and extend of the damage.